Sitting here on this wintry day, I thought this would be a good time to catch up on the events being planned for 2017. The list is by no means complete as of this writing but I think it is a good start. I want to thank all of the trip leaders and meeting speakers who for the most part volunteer their time and expertise to educate and entertain our member and friends. Check the events calendar often for updates. Steve Arena, a long time friend and trip leader for ABNC, has been conducting freshwater marsh bird surveys in the Commonwealth of Massachusetts for over 30 years. Steve will share with us his photos, videos, and experiences with these seldom heard and even seldom seen denizens of the freshwater marshes. Steve will present a brief overview of the marsh bird protocol he uses in support of State and Federal monitoring programs. Steve will also go through each regularly occurring species detailing habitat, visual and audio identification, and challenges birders are faced when marsh birding. The evening will include a rich audio-visual presentation of these elusive species that is sure to be informative, educational, and fascinating. Hosted by Paul Kachinsky: This monthly meeting on the 3rd Tuesday of the month will feature various topics of discussion relative to geology. Come join in for this informal evening of exploration and learning. 7:00 PM MREC 100 Main Street Athol Ma. Join Ashley Green in learning about a newly established MAPS breeding bird banding station in Franklin County. Get to know about this continent-wide network of stations, what demographic information is collected and how it can be useful in the conservation of birds and their habitats. Join Joe Superchi on the second Thursday of the month (through November) in a search for birds at local sites. 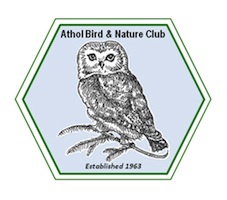 Open to birders of all abilities. Meet at the end of South Street Athol at Water/sewer Division gate. Ma Natural Heritage biologist Karro Frost will guide us in learning about the unique life found in vernal pools. Learn how to certify pools with the Vernal Pool Rare Species (VPRS) database. Bring boots a snack, drinking water and a sense of adventure. Meet at 9:30 am at MREC to carpool or 10:00 am at the Conservation area. To find the South Athol Conservation area entrance: travel south on South Athol Road from Athol center and the entrance will be on the right 1.1 miles south of the route 2 overpass, between the intersections of Riceville Road and Conant Road. (GPS – 3800 South Athol Road) A Conservation Area sign at the driveway will point you down the dirt roadway to a small parking area on the right before the gate (private residence). Join Ernie LeBlanc birder and former landowner of the South Athol Conservation Area for a search for early spring migrant birds. Bring binoculars drinking water hiking shoes and a sense of adventure. We welcome birders of all abilities. Meet 8:00 am at the Conservation area. To find the South Athol Conservation area entrance: travel south on South Athol Road from Athol center and the entrance will be on the right 1.1 miles south of the route 2 overpass, between the intersections of Riceville Road and Conant Road. (GPS – 3800 South Athol Road) A Conservation Area sign at the driveway will point you down the dirt roadway to a small parking area on the right before the gate (private residence). Join Ma Natural Heritage’s Lynn Harper and Dave Small for a look at early dragonflies at the South Athol Conservation Area. Bring dragonfly net, shoes or boots to get wet, water snacks and a sense of adventure. Join ABNC president Dave Small and naturalist Lula Field at Dave and Shelley’s house, 1542 Pleasant St., Athol, to search for Lunas, underwings, silkmoths and other night-flying insects. Participants are invited to bring their tents, snacks to share and favorite moth baits. (Don’t know what those are? You’ll find out!) Info: Dave Small, 978-413-1772 or Dave@dhsmall.net.